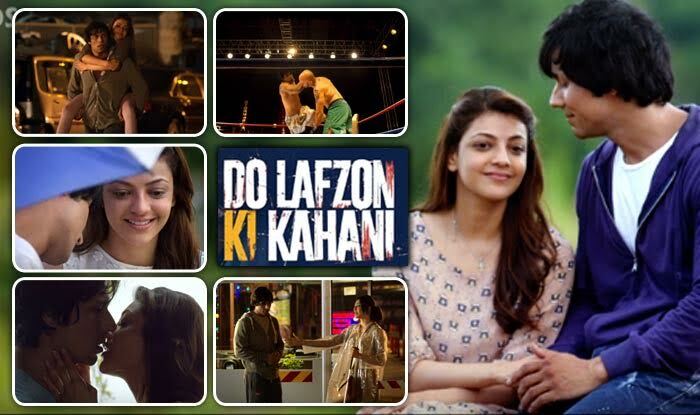 ‘Do lafzon kee kahani’ is a simple and predictable love story set in Malaysia and stars Randeep Hooda and Kajal Agarwal in the lead roles. Randeep is a boxer by profession, who becomes an enforcer for a gangster because he is fooled out of his career by another boxer and his wife. But in the midst of this violence, he becomes unwittingly responsible for the blindness of a sweet girl (Kajal). Without knowing this, the blind Kajal falls in love with Randeep, who himself does not know of what he had unwittingly done. But when Randeep comes to know of this, he resolves to raise money for a costly operation that will restore Kajal’s eyesight. But it is lot of money and Randeep literally has to stake his very life for it. So does Randeep succeed in raising the money and still survive at the end of it all? Will Kajal be able to see Randeep with her very own eyes, someone whom she only managed to feel with her hands earlier? Watch the movie for that. There is a lot of violence in the movie, yet it seems like a love story all the time. That it self is the triumph of director Deepak Tijori. Even though the storyline is predictable, the director has also managed to keep things simple and sweet as far as the love story is concerned. You also tend to overlook a lot of things that are unrealistic in the movie while you are immersed in seeing the movie and that itself is another triumph. The chemistry between the lead pair is really nice and Kajal Agarwal looks so sweet and vulnerable and delicate, even though actually she is no beauty. Randeep has pulled off the act of looking real hard in the exterior but having a soft heart and he has pulled it off really well. Music is good and songs are really nice- it is they that set the mood for romance rather than violence in the movie. No spectacular scenes are filmed, but still photography is decent. But in the end the unrealism of the movie and the predictability does catch up with you and the impression of the movie is not really great. Not worth writing a long review for it. However it has it’s sweet moments.